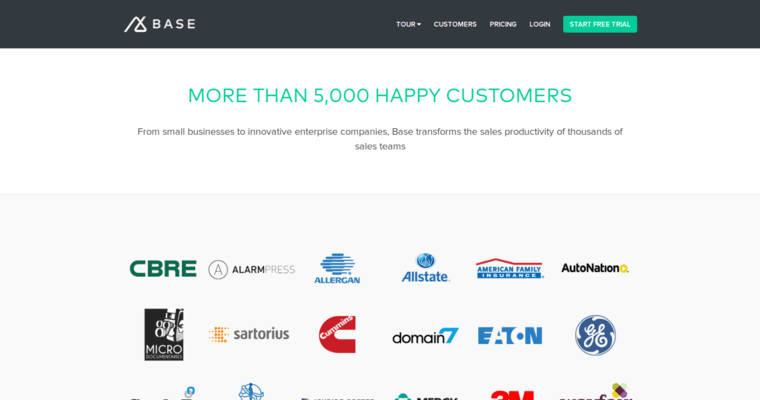 Bases' customer relationship management software is an all-in-one sales platform used by sales and IT professionals to organize leads, trace clients throughout each stage of the sales funnel and integrate data, sales tools and APIs. 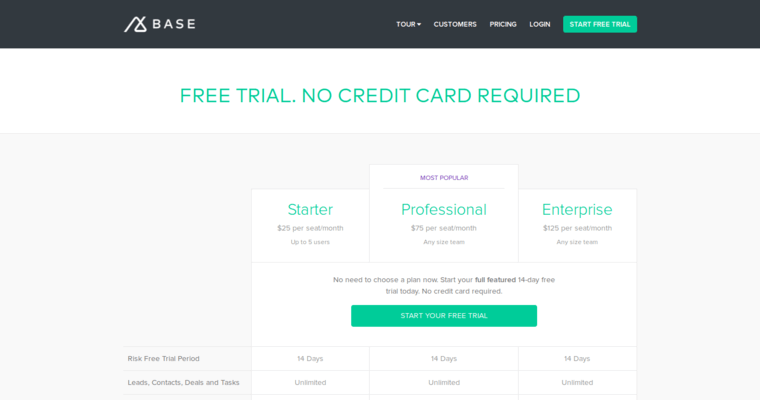 For sales professionals, Base's sales acceleration feature includes Apollo. Apollo provides key insights derived from integrated data science platforms. These insights accelerate sales by identifying obstacles. 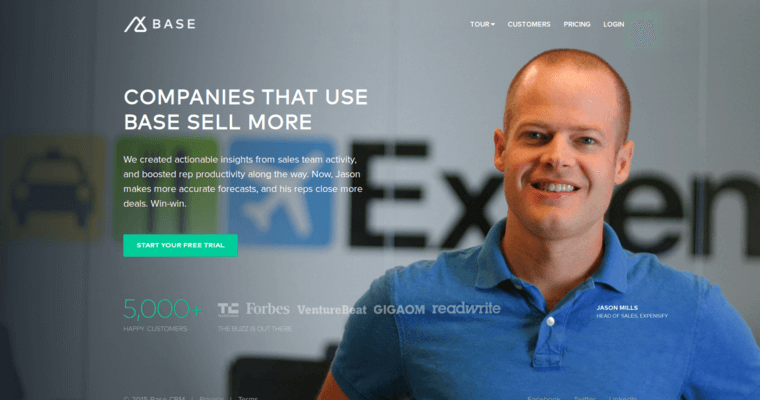 Close is another feature which accelerates sales by providing sales leaders with tools to expeditiously finalize sales. At the other end of the funnel, Reach is a prospecting tool that helps sales teams and sales scientists identify quality leads. Members of sales teams and IT teams are able to communicate securely in real time using Connect. Connect is a communication tool that seamlessly integrates with all aspects of Base CRM to facilitate the transfer of information through secure channels. The Snap feature syncs outside data with the Base platform.